generates a map on which the locations loci are indicated. generates a map showing several lists of locations. The loci can be GeoPosition objects or Entity objects representing entities with geographic coordinates, such as countries that extend over regions. 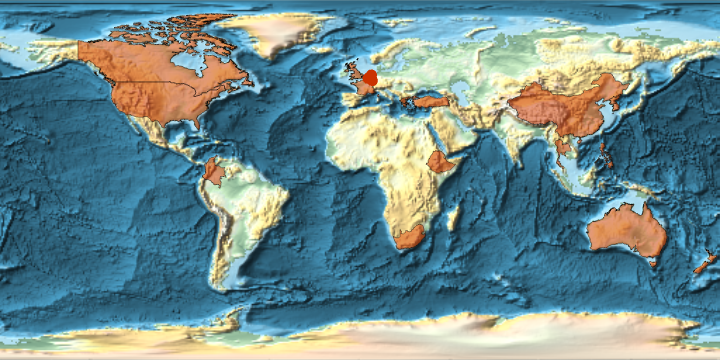 The geometric constructs supported by GeoListPlot include Rectangle, Polygon, Disk, GeoDisk. 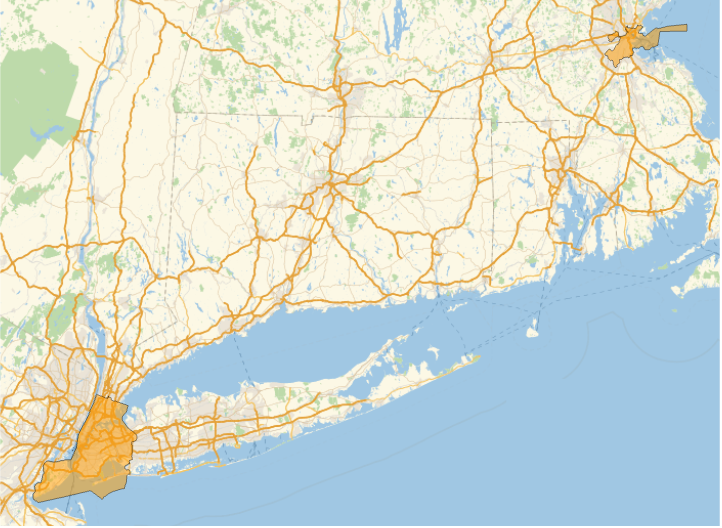 GeoListPlot evaluates to a GeoGraphics object. The arguments supplied to functions in GeoLabels are graphicsi, regi, and EntityValue[regi,"Position"], where graphicsi is the Graphics or GeoGraphics object that marks regi, by default either a Point or a Polygon.